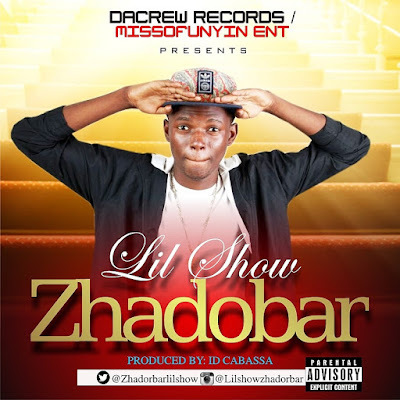 DaCrew Records / Missofunyin Entertainment Present The New Act Under The Record Label (Lil Show) A.K.A (Zhadobar), Idris Okikiola was born in Ogun State in early 90's and based in Abeokuta, Ogun State. 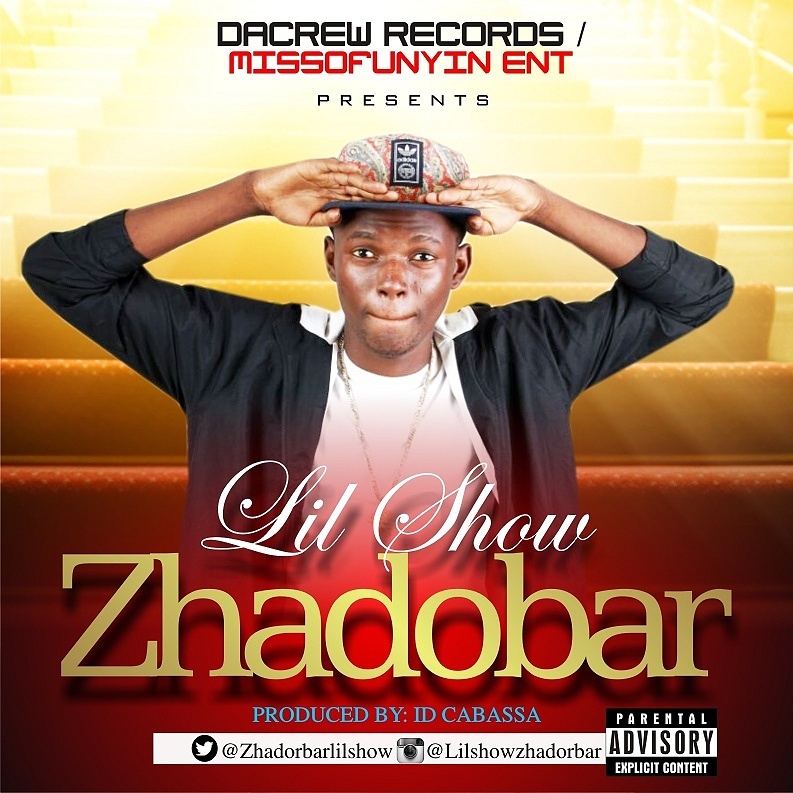 This is the first song under the record label, titled: ZHADOBAR, named after his Nickname and was produced by ID Cabassa. Should we call him the next king of yoruba rap? 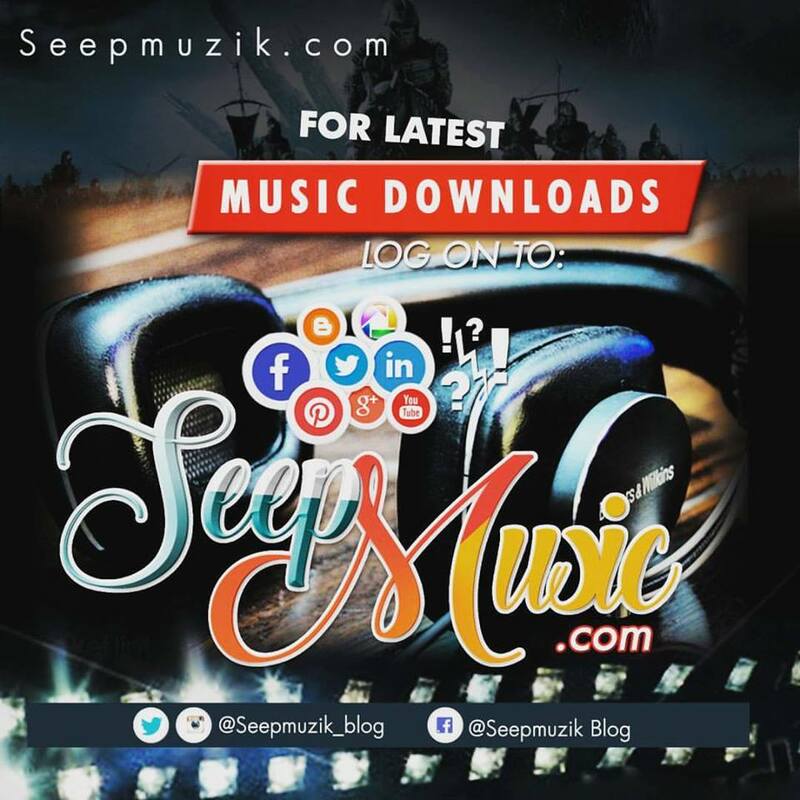 I think this boy is the best thing after Dagrin and Olamide Download and enjoy the vibez. Very sure you will ask for more. The Video Coming Out Soon.